Home Costs > How Much Does Metal Siding Cost? How Much Does Metal Siding Cost? Rigid and durable, metal siding is often used due to its low maintenance qualities and its ability to avoid buckling, warping or cracking. Most metal siding will often be seen on an industrial building, but there are some instances where a residential home or even a barn may use it. How much does metal siding cost per square foot? Depending on the exact type of metal, it can range anywhere from $3 to $7 per square foot for aluminum siding to as much as $13 per square foot for steel siding to have it professionally installed. These prices will be greatly dependent on where you live, the materials you choose, the thickness of the material, its finish, your current situation and the professional contractor you hire. With these estimates, you could be paying anywhere from as little as $5,000 to $7,500 for a 1,500 square foot home to as much as $10,000 to $13,000 for a 2,500 square foot home. With so many variables and unique situations, we recommend you check out HomeAdvisor.com to receive quotes from licensed contractors in your area for free. As for the materials, metal siding is often sold in “slats” or panels. These slats, if you were to purchase at a local home improvement store, will cost anywhere between $15 to $30 each. Each slat, on average, can measure three-by-ten feet. Alside, a popular metal siding company, for instance, can be within the $4 to $7 per square foot range. For metal siding, aluminum and steel will be the two most popular types; however, zinc and copper are readily available as well. Galvanized steel, which is widely available, will be much less than copper or zinc, for example. If you were to install zinc or copper siding, it could be much harder to find an experienced contractor in your area since very few contractors work with it. However, steel and aluminum, again, since it’s readily available, can be easier to find a contractor and will greatly depend on your geographical location. Removing older siding is another consideration to think about, and as mentioned below, it could be another $1 to $2 per square foot to remove it. All situations will be unique, and for that reason, you may need additional materials such as fasteners, replacing door trims, the soffits and/or windows. Since a contractor will want the final job to look pristine, he or she will recommend all repairs they may want to perform. Lastly, in most cities, a building permit will likely have to be pulled in order to start the job. On the market, there are two popular metal siding options: aluminum or steel. Aluminum siding will be a lot lighter than steel and will have a lower price, as noted above. It’s also more flexible, easier to install and even repair, but it won’t be as good in extreme weather conditions and can damage with ease. Steel siding, on the other hand, steel will be much stronger, heavier, will hold its color longer and will be very resistant to any damage such as dings and dents, but as noted, it can be about $2 to $3 per square foot more. 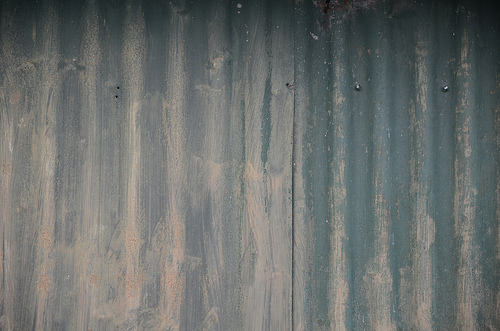 Regardless of the material you choose, metal siding can last up to 50 years. Both aluminum and steel will come in either a smooth or embossed finish, with aluminum coming in either a .019 or .024 thickness and steel available in a 26 or 29 gauge. The thicker the metal is, the more it’s going to cost. Like siding, metal can come in a variety of colors and styles. If older siding has to be removed, this could be an additional $1 to $2 per square foot. Flashing can cost $1 to $2 per square foot. Trim, if needed, can be close to $10 to $15 per 12 feet. Soffits can cost another $8 to $22 per linear foot. The same can be said about gutters. If any additional carpentry is needed in case of unexpected repairs. A foam backing can be applied to metal siding to increase its insulation properties. Some contractors may charge you for the dumpster rental, which can cost $300 to $600 extra. The thicker the siding is, the less prone it will be dents and dings; however, regardless of the thickness, this siding is prone to scratching and losing its color over time. In terms of maintenance, there isn’t much you need to consider. When hiring, it’s always best to get at least three to five quotes from a licensed contractor. Whether you want to get the quotes on your own or use the HomeAdvisor.com link mentioned above, always make sure the contractor you may hire is licensed, insured, has experience and has valid references/reviews online.